Parameters (see the expansion example below): (the builder, addr, loaded, new_val, ordering, /* OUT. Definition at line 60 of file SymbolVisitorCallbackPipeline.h. 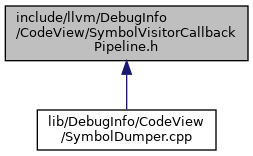 Definition at line 68 of file SymbolVisitorCallbackPipeline.h.